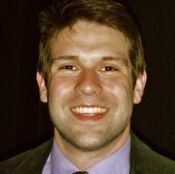 Tim MacNeil is the Assistant Campus Director for AoPS Academy Morrisville. Tim completed his BS in mathematics education at North Carolina State University and is currently pursuing a Master’s in statistics. 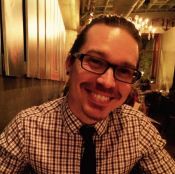 For five years, Tim worked at the Academic Skills Center at Vance-Granville Community College, where he specialized in training the school’s mathematics tutors, organizing study groups, and assisting students at all skill levels. In his free time, Tim loves spending time with his daughter, solving problems that are ‘just a few steps away,’ playing video games, and coordinating a yearly academic conference that focuses on the study of games. 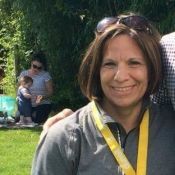 Kelly is the National Language Arts Director of AoPS Academy, and she considers herself lucky to have been a part of the Morrisville Academy since it opened its doors in 2014. In a past life, Kelly was a public school teacher and a private tutor. 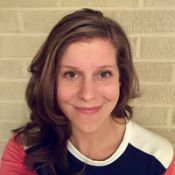 She is a licensed reading specialist and language arts instructor, spanning all grade levels from kindergarten through high school. Kelly holds a Bachelor's in education from Penn State University and a Master's from The University of North Carolina at Chapel Hill. When she has time on her hands, Kelly runs a lot, reads a lot, and hangs out with her two kids, who are objectively the coolest kids on the block. Kirti is the Community Outreach Coordinatory for AoPS Academy Morrisville. She moved to the US in 2002 and holds an undergraduate degree in accounting from Delhi University. She joined AoPS Academy in 2016 and enjoys meeting families and telling them about the impact of an AoPS education. In her free time, she likes to read, learn about different cultures and travel with her family. She especially loves to see the world through her kid’s eyes. 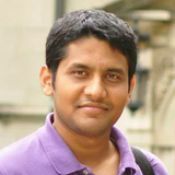 Diya earned his PhD in chemical engineering from Princeton University in 2012. 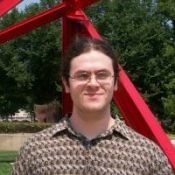 He has taught mathematics at the elementary school, high school, and university levels with topics ranging from introductory algebra to differential equations. 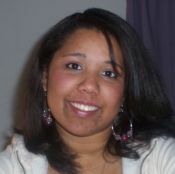 Diya has a passion for teaching students who have a great enthusiasm for learning and improving. He is currently working in the biopharmaceutical industry as an Associate Director in Engineering. John first discovered how much fun it is to teach math while working as a teaching assistant with the Talent Identification Program (TIP) at Duke University. He holds a degree in math from Tulane University, a Master of Arts in Teaching from Duke, and has taught math to both high school and community college students. 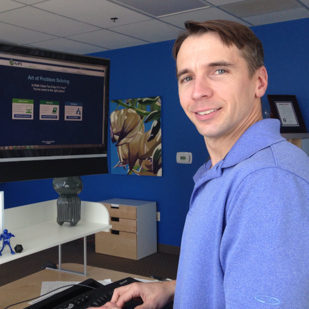 Outside of AoPS Academy, John is a Math Learning Specialist at Wake Technical Community College. When he isn’t teaching, John loves Ultimate Frisbee and speedcubing—his current best time is 10.2 seconds. 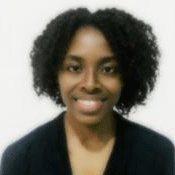 Shenek earned her PhD in statistics from North Carolina State University. 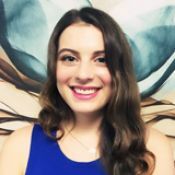 She has extensive consulting experience, including time with the SAS Institute where she specialized in Econometrics and Time Series analysis using the SAS programming language. 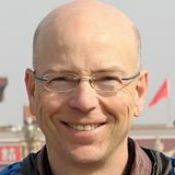 Shenek is the recipient of numerous awards and honors, and has been instrumental in modeling extreme weather events in China. She also has extensive teaching experience in algebra, trigonometry, and statistics​. Dilip Barman loves math and teaching. 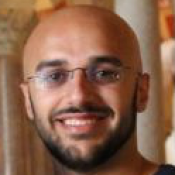 He has taught students at all levels from elementary school through college, and holds degrees in mathematical sciences from The Johns Hopkins University, computer science and software development from Marist College, and computer science from Brown University. His post-graduate research applied computationally feasible hypermedia and artificial intelligence (AI) to practical instructional. He then worked in software and hardware development at IBM. Dilip is also a prize-winning photographer and has taught photography for many years. A passionate vegan cook, he hosts the largest vegetarian Thanksgiving Dinner in the US every November. Dilip is a member of the Triangle Math Teachers' Circle and homeschools his elementary-school-aged daughter. He is excited to teach at AoPS Academy Morrisville! Ranil earned his PhD in mathematics from Clarkson University in Potsdam, NY. 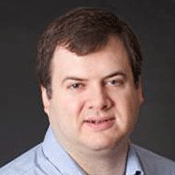 He continued his research career as a postdoctoral researcher at Clarkson for another three years before he moved to the Research Triangle-area. Currently, he works at Durham Tech as an adjunct instructor and as a professional mathematics tutor. Hannah Beers is a North Carolina native. She graduated from East Carolina University with a degrees in mathematics and education. Hannah has been teaching for 8 years. She currently teaches Math 1 and Math 2 at Green Hope High School in Cary. 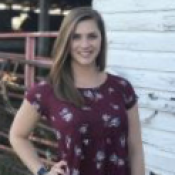 Hannah also holds a Master's degree in curriculum and instruction from Concordia University. Dr. B is the LEAP math teacher and MATHCOUNTS coach at Chapel Hill’s Smith Middle School. LEAP is a district-wide program for highly gifted studentsn, and Dr. B’s math teams are consistently among the top two or three in North Carolina for MATHCOUNTS, the AMC8, and the AMC10. In addition, his students often win the North Carolina State Math Contest. He has twice coached the North Carolina State MATHCOUNTS team. 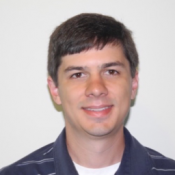 Over the last 16 years, Dr. B has taught Prealgebra through Precalculus, and he holds a PhD in cognitive psychology as well as an MS in secondary math education. His passions include tennis, bridge, and (surprise!) math. 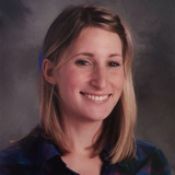 Dana is an experienced teacher who brings to the classroom her enthusiasm, creativity, and a proactive approach to her students’ educational needs. She has trained students in mathematics from elementary to high school. Dana earned her Bachelor’s degree from North Carolina State University. She spends her spare time volunteering at a crisis prevention center, camping, and exploring nature. Cyndi is one of the founders of the AoPS Academy Morrisville Campus. She has served as an adjunct member of the college faculty at Northeastern University, where she taught introductory and advanced clinical microbiology and pathophysiology courses. Cyndi also has many years of experience as a professional microbiologist. 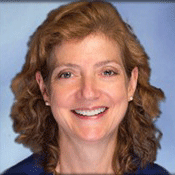 Cyndi holds a MS in medical laboratory science from Northeastern University. Miriam holds a Master’s in English literature from Rutgers University and a Bachelor’s in English from North Carolina State University. In the past 15 years, she has taught or tutored students at almost every level of reading and writing, from elementary school to college. She also has extensive experience in editing and research. Miriam loves to incorporate students’ interests and backgrounds into the classroom when possible, engaging students while emphasizing the wide applicability of language arts skills. Rasha loves math and is passionate about making the subject engaging for her students. She has taught and tutored math from the developmental level through calculus and has recently been working with math students at Durham Tech Community College. Rasha earned her Bachelor’s degree in software information systems with a minor in math from UNC Charlotte, where she also earned a Master’s in architecture. 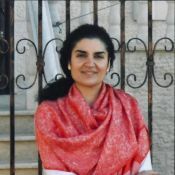 In her free time, Rasha enjoys reading, going out in nature, and mentoring K–5 students in her community. Lisa is a veteran teacher with over twenty years of classroom teaching experience. She holds an education degree from Meredith College. With her vast teaching experience across a variety of grade levels, Lisa brings creativity, joy, energy, and a love for teaching into her classroom each and every day. She has a passion for language arts, particularly for reading and making books come to life in the classroom. Frank earned his PhD in mathematics from the Courant Institute of Mathematical Sciences at New York University. Frank also held a postdoctoral fellowship at Yale University. Currently, he teaches mathematics and statistics at the University of North Carolina at Chapel Hill's Kenan-Flagler School of Business. 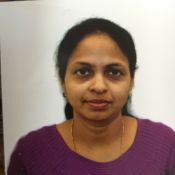 Lakshmi received her Bachelor’s degree in mathematics and Master’s in computer science from India’s Madurai Kamaraj University and is currently teaching in the Special Education Department at Apex Friendship High School. She has also volunteered her time in teaching math to kids at elementary school and has worked as a substitute teacher of middle-school math and science. 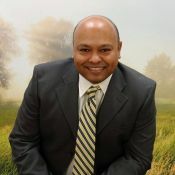 Dr. Haider earned his PhD in electrical and computer engineering from Texas Tech University. Currently, he is a postdoctoral fellow in computational biology and bioinformatics at a biotechnology company. He is pleased to bring his years of experience in teaching advanced mathematics to AoPS Academy. Melissa Harding is excited to be teaching math at AoPS Academy Morrisville. She received her degree in mathematics from Meredith College and spent six years teaching middle-school math in Person County, NC. 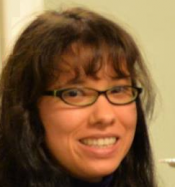 Having recently returned to the Triangle, Melissa now tutors math privately. Her favorite number is three and when she is not doing math she enjoys visiting her with family, dancing until she drops, and creating beautiful arts and crafts. She can't wait to jump into deep problem solving and intense critical thinking while getting to know all her wonderful students. Pritish teaches math at AoPS Academy Morrisville and has loved the subject ever since his high school days, when he studied for India’s national talent exam. 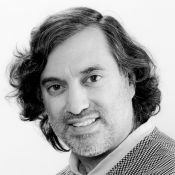 He earned his PhD in materials science and engineering at the University of California, Berkeley, where he developed mathematical models for physical phenomena and taught introductory materials science classes; Pritish also holds an MBA from Duke University. He likes finding creative approaches to solving problems and enjoys tackling math puzzles with his daughters, both of whom are AoPS Academy students. 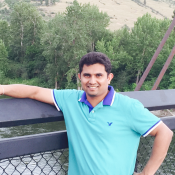 Outside the classroom, Pritish is an engineering manager in the semiconductor industry. Sudha has earned her Master’s degree in computer science from the University of Illinois Springfield. She also holds a Bachelor’s degree in mechanical engineering and has extensive programming experience in web and enterprise technologies. She taught programming languages to undergraduate students in India. 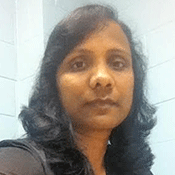 Sudha has a passion for mathematics and loves to help children in discovering the joy of math. She likes to spend her spare time solving Sudoku puzzles and listening to music. 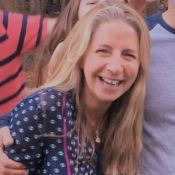 Sharon holds a Master’s degree in curriculum and instruction from the University of Mississippi and a Bachelor’s degree in journalism and public policy analysis from the University of North Carolina at Chapel Hill. Currently, she works in UNC’s Office of Undergraduate Retention, overseeing a suite of courses designed to help students excel during transitional phases in their undergraduate career. Sharon loves the classroom and has experience teaching middle and high school English, coaching teachers, and developing educational programming. She is a proud graduate of the Mississippi Teacher Corps program. Alissa has a Master’s degree in creative writing from Binghamton University, where she studied under the poet Ruth Stone. She also has a Master’s degree in English language and literature from the University of Rochester. She has published fiction and non-fiction, served as a senior editor for the online literary magazine Literary Mama, and taught students from high school through university. Alissa loves working with students from all backgrounds and of all ages and especially enjoys seeing their skills and confidence flourish. 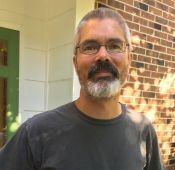 Douglas earned his MS in mathematics from North Carolina State University and spent five years teaching at the North Carolina School of Math and Science. He currently works for an educational software company where he codes math problems. 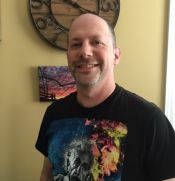 Douglas has experience with a range of high school level mathematics courses and electives, and enjoys helping highly motivated students understand mathematics. Blake is an experienced educator who has worked with students in all grade levels. Her expertise is in the speech-language field, which was the focus of her Bachelor’s degree from the University of North Carolina at Chapel Hill, where she also earned a Master’s degree. In her spare time, Blake enjoys weightlifting and swimming. She has also been teaching swim lessons for children ages 3-13 for the past five years. Before joining AoPS Academy, Matthew gained experience teaching and tutoring across a variety of settings. After working at a tutoring center, Matthew’s passion for education prompted him to become an English instructor at both North Carolina State University and Durham Tech Community College. Matthew's degree in philosophy from NC State has often led him to reflect often on the power of inspirational teachers. He firmly believes that the mark of a good teacher is the ability to inspire others, and he’s excited to inspire AoPS students to become brilliant thinkers and skilled communicators. Language arts instructor Lauren loves teaching young students, whose abilities and fresh ideas never cease to amaze her. She holds a Master's in secondary education from the University of Phoenix and a BA in English literature from North Carolina State University. 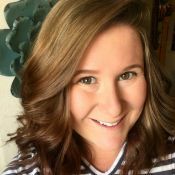 Lauren has been teaching English language arts for four years and works with both inclusion classes and gifted learners at Cary’s Cardinal Charter Academy. Outside of the classroom, she enjoys crocheting, hiking, spending time with her husband and their young son, and throwing frisbees for their dog, Beans. Alice got her BA in English from Harvard and Radcliffe Colleges and then pursued her Master’s in education at Boston's Simmons College before launching a career teaching middle- and high-school English. She also holds a National Board Certification (NBCT) in Secondary Language Arts. 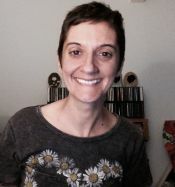 Alice's 21-year teaching career has enabled her to share her love of literature and language with students in Boston, Brazil, California, and Turkey—as well as in Wake County, North Carolina. In order to take a different role as an advocate for students, families, and schools, she left teaching in 2014 to enroll in a Doctoral program in school psychology at the University of North Carolina at Chapel Hill. Alice is a life-long learner and hopes to inspire her students with a love for challenges and opportunities to grow. 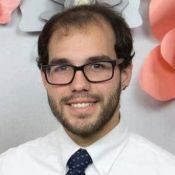 Justin is a National Board Certified (NBCT) educator and an experienced high school language arts teacher, with twelve years’ experience teaching for Wake County Public Schools. Previously, Justin taught language arts to middle-school students in California and Istanbul, Turkey. He earned his BA in English from the University of Southern Maine and his MFA in English and creative writing from San Francisco State University. Justin’s knowledge of students’ needs, enthusiasm for subject matter, and sense of playfulness create a lively class environment where students thrive. 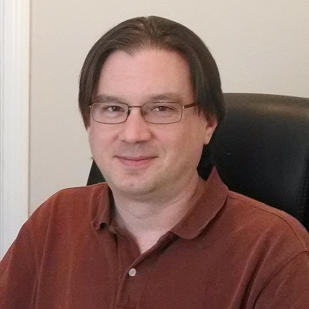 John has twenty years of experience teaching language arts in both English and Spanish to a wide variety of learners. 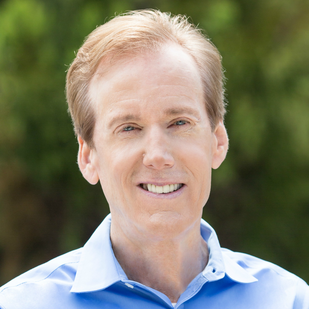 He is a graduate of Florida State University with a Bachelor’s in international affairs. John also graduated with distinction from New York University with a Master's degree in international education. In 2012, he was the banner-bearer for the Department of Humanities at NYU’s Steinhardt School. During his time at NYU, John was President of the student board and received a service award from the faculty of his department. He is passionate about learning new things and loves sharing his enthusiasm with his students. Jeff has a passion for math, science and a good puzzle. He has a degree in industrial engineering and spends his days solving complex business supply chain and quality problems. Jeff enjoys bringing his creativity and energy to the classroom, whether he is teaching foreign language, history, statistics, or coaching students through a hands-on science project. He has taught elementary- and middle-school students and instructed adult learners.